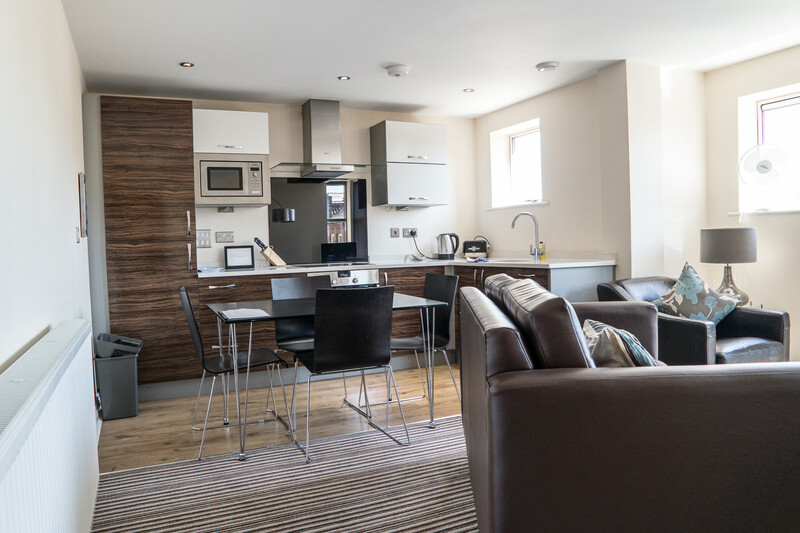 Our Luxury Two Bedroom Apartment is special because it contains extra facilities. There is an elevator in the building and a washer dryer in the apartment. It is also special because it has a stunning view of York Minster from the lounge window. Finally, it is special because it is slightly closer to the centre of York than our other apartments. Beds: Bedroom 1: 1 king (5 feet), Bedroom 2: 1 queen (6 feet) or 2 singles (please let us know which layout you prefer). 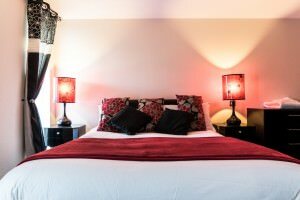 You have the choice of layout in bedroom 2 because we know that you may want it set out as a a double room or two singles. Just let us know and we will set it up for you. 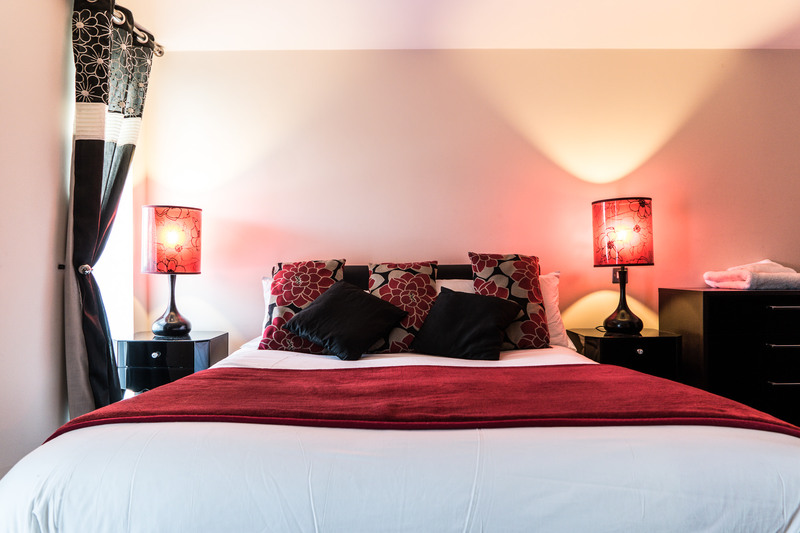 We provide all of your bed linen and towels in the apartment so that’s one less thing to worry about. You will find mirrors in both bathrooms and bedrooms. There’s also a dressing area and hair dryer so that you can refresh yourself after your journey. 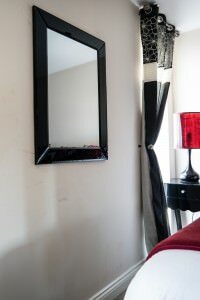 In the hallway there’s a full length mirror because we know you may want a final check before stepping out! 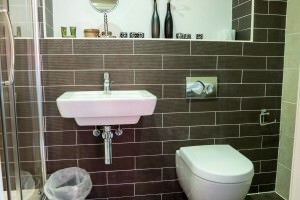 Bathrooms: 2 bathrooms, both with a shower plus one with a bath. This apartment has the added advantage of a bath in the main bathroom. 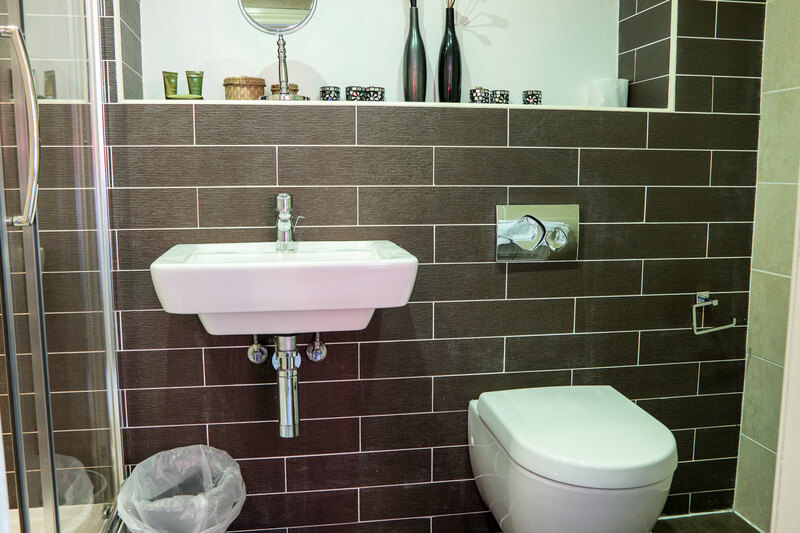 The shower in the en suite is also quite large so you have plenty of room in both bathrooms to relax. The lounge area has a superb kitchen. 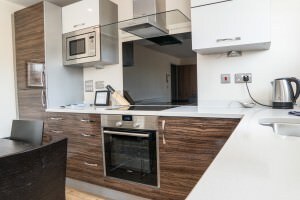 We provide you with all your cooking equipment because we know you may want to cook a meal for your family or friends. If cooking’s not for you, don’t worry. Just outside your door and loads of places to each and drink! There is a washing machine and dryer within the apartment. We provide you with free WiFi in all rooms because we know you will want to stay in touch.